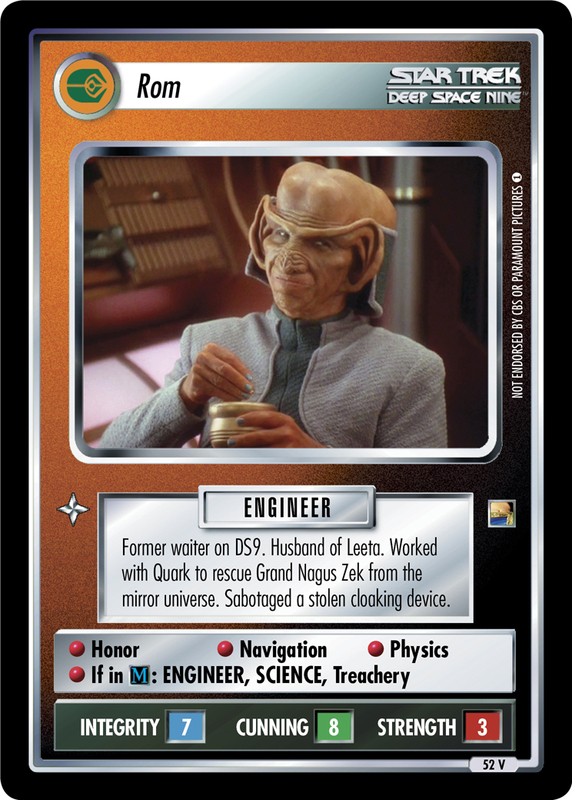 Ferengi soldier in the Terran Rebellion. 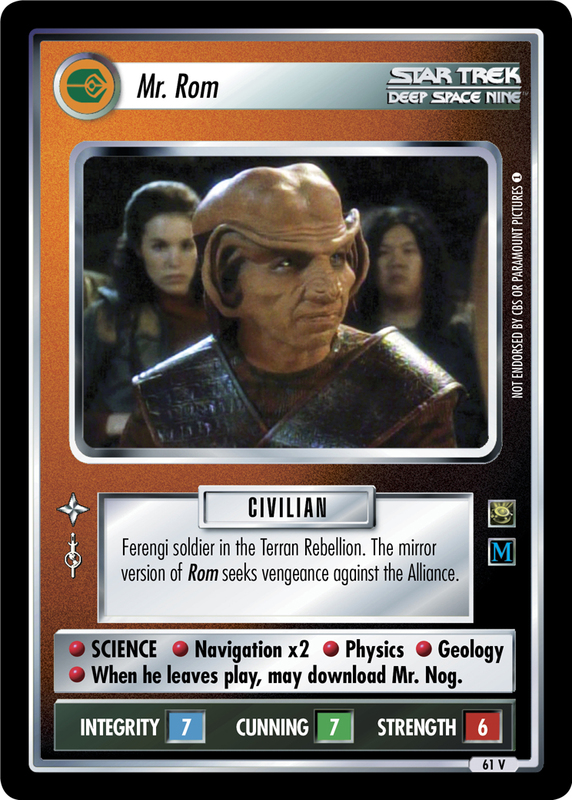 The mirror version of Rom seeks vengeance against the Alliance. • SCIENCE • Navigation x2 • Physics • Geology • When he leaves play, may download Mr. Nog.